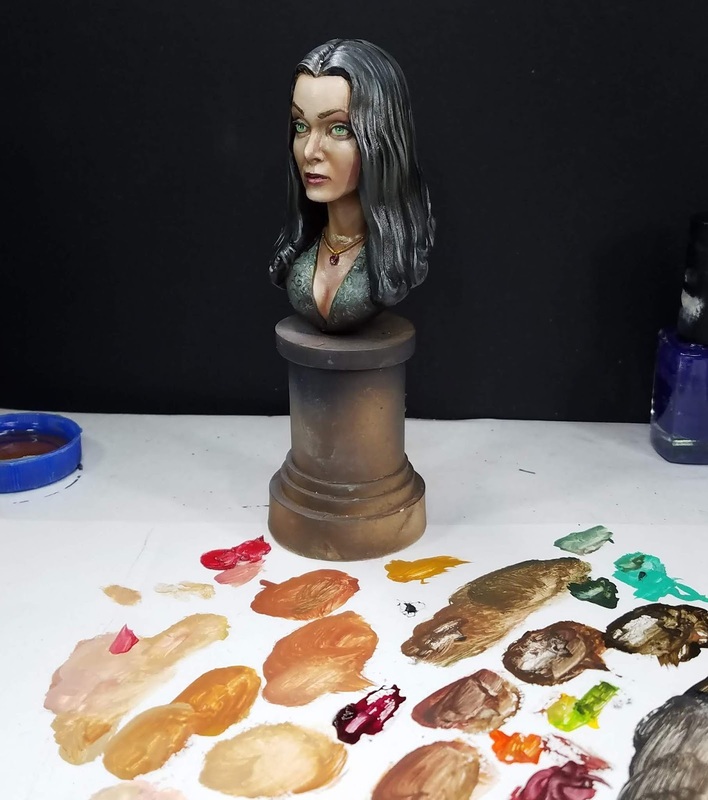 While I always have fun doing miniature painting videos with the oil paints, busts are a special treat with their relative size. 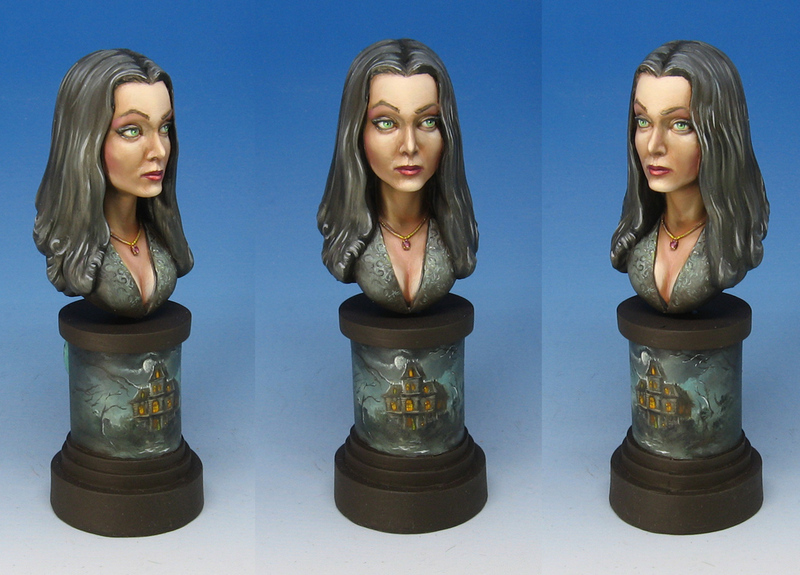 This means I can do much more on areas such as the eyes! 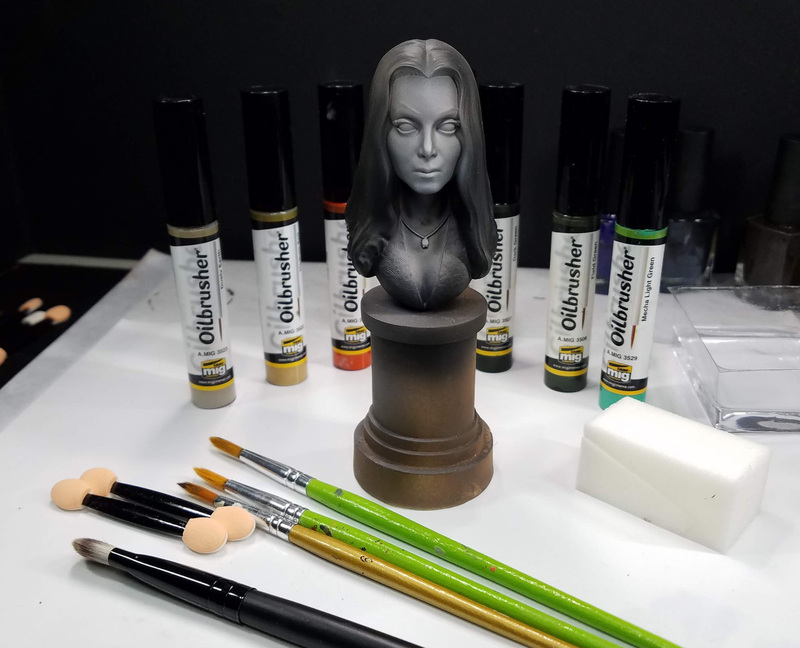 I also had some fun painting a little landscape on the plinth, and it seemed to be a fun way to introduce people to oils in 2D as well. 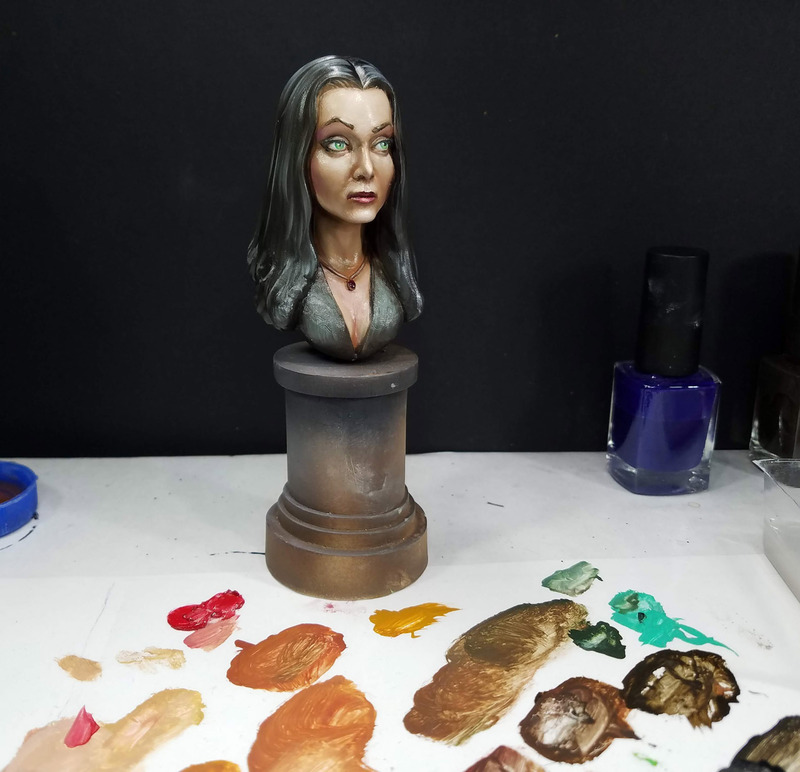 As you can see, I tried to use all the same colors which were used on the bust itself so that it would be cohesive, and not overpower the main interest of the face. 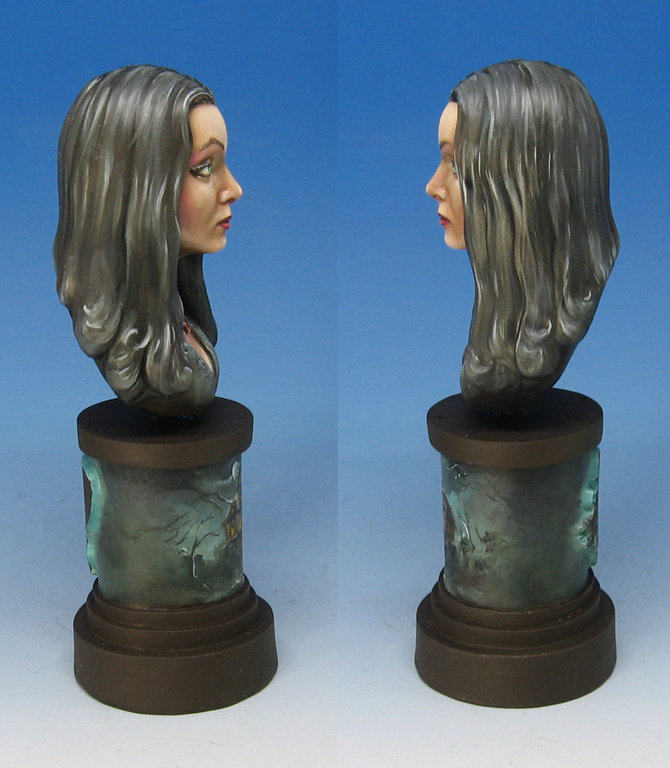 I am thinking of creating a pledge level that would provide a "hard copy" version of the tutorial on a USB drive, and an unpainted version of the bust itself. 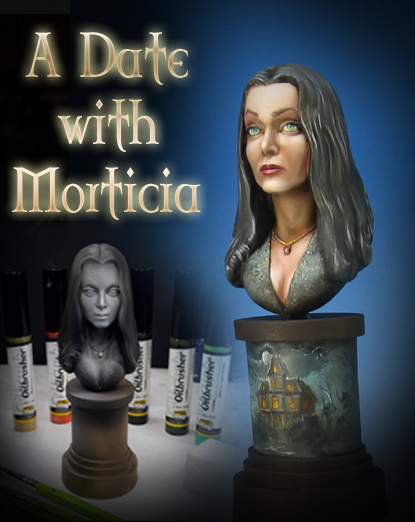 This would be an all in one level where you could get started with your painting even sooner! 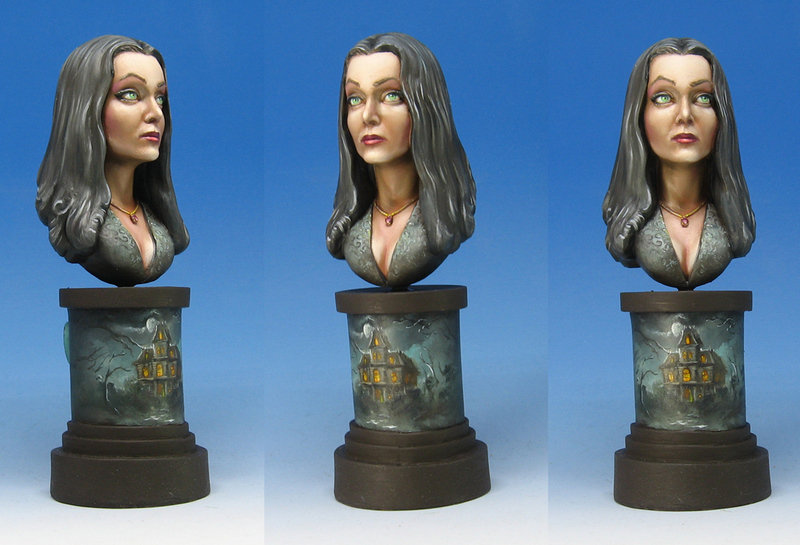 I already have a pledge level that gets you the hard copy video, and the painted bust too!